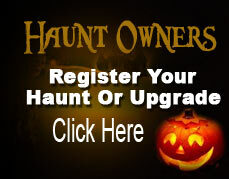 One Part History, Two Parts Haunt!™ Visit more than 20 scary sites to hear Philadelphia's haunted facts and folklore. Experience Philadelphia's monuments by moonlight. Travel the cobblestone streets of Old City to hear chilling stories about the Spirits of '76, featuring: Haunted Facts, Haunted Folklore, Haunted Movie Sets. Operates April - November. See web site for full schedule. Family Four Packs and Group Rates Available.